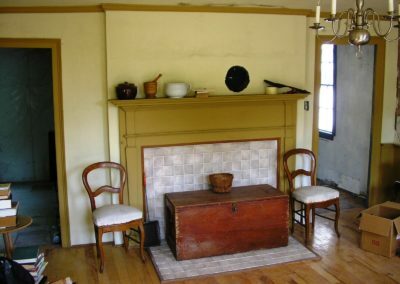 The Paul Urann House is one of the earliest frame houses in the community. SSHS is restoring this building to be used as an interactive educational tool for the community. 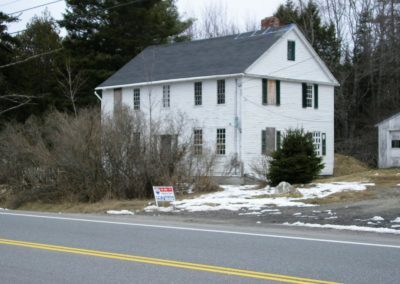 In February of 2012, the Sullivan-Sorrento Historical Society purchased the Paul Urann house on US Highway 1, Sullivan. Mr. Urann was an early settler in the area and the home he built (circa 1800) for his family sits on a portion of one of the original land grants in the township. The purchase was made for several reasons. 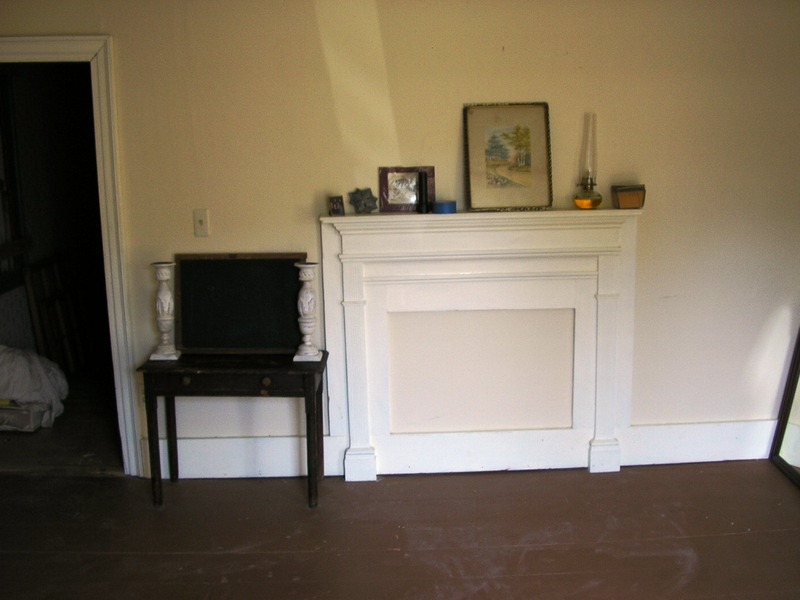 The property was in foreclosure and there was interest in razing it in order to re-purpose the lot. 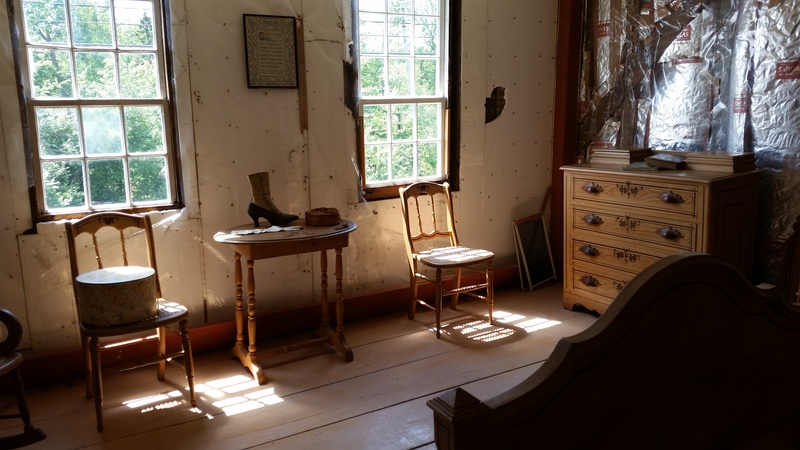 The house has several features of historical significance. Much of the house remains original with little renovation over its lifetime. Most importantly, it is an opportunity for the Society to display and celebrate local history and remember a prominent early leader of the community. Using volunteers and donated equipment, the grounds were cleaned up and much of the interior mess from vandalism was removed. 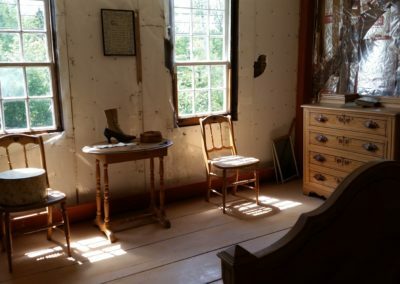 Several work days were scheduled and local high school students spent time learning about the home and it’s history, as well as helping with yard work and interior cleanup. 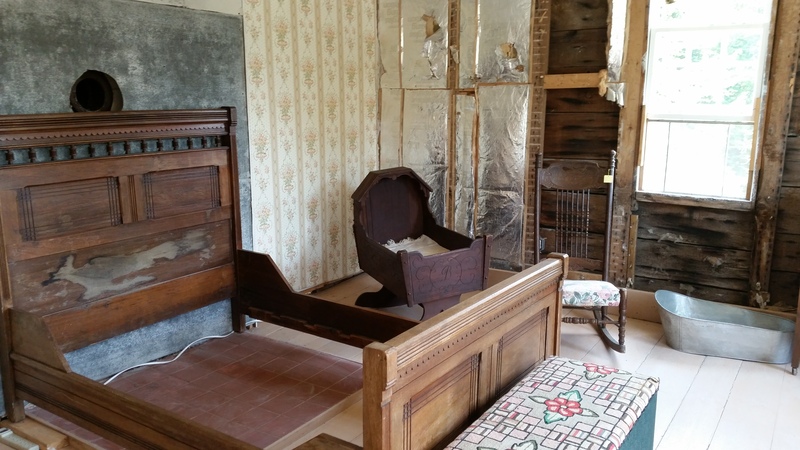 Work was begun to restore the original windows, scraping, painting and glazing. Research into the Urann family and the house was begun. 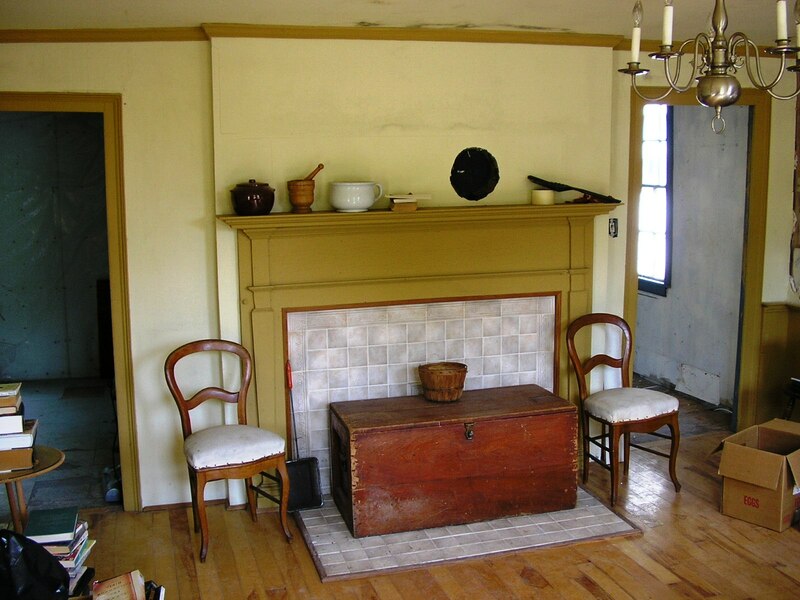 Plans were developed to preserve the exterior of the house and volunteers began small tasks in that direction. Concepts for how the interior would be restored and future use of the home were discussed. Planning for interactive programming to display life in 1800 and 1900 was begun. Agreement has been reached by the Society that we want visitors to the home be able to see, feel and be immersed in our history. An exterior drainage system that had failed and was causing water problems in the cellar was repaired. Work days were scheduled for yard work and minor repairs. Non-historical changes to the interior were removed. The garage was cleaned out. While not original to the property, it is useful space that can be made to look original. Two work days were held where volunteers completed small projects. The garage was painted and more grounds work done. In 2015 & 2016, with help from DFF, we completed the exterior painting and began some interior restoration. During preparation work for the painting project, we discovered some sill damage and were able to better determine water damage to the front walls. In 2017 major work on the project was deferred to acquire further funding. Several work days were held at the house doing tasks to prepare for the work to be accomplished in this proposal. The accompanying photos highlight the progress that has been made over the years and show the problems we are addressing with this proposal. SSHS is a small organization in two small towns with strong support from the total community for the project. Click on any photo in the following gallery to enlarge and view the work in detail. Paul Urann, born 1778, was the son of John, Sr. and Urann. Paul’s father, John, Sr., settled in Waukeag Neck (Sorrento). Early deeds show John, Sr. giving John, Jr. 100 acres of shorefront property on the west side of Waukeag Neck in 1791. This property was bordered by the lands of Sam Preble, a Welch and E. Bragdon. (Vol 1, p. 094, Registry of Deeds, Hancock County). Even earlier, in 1803, but registered in Vol 14, p. 235, Benjamin York of Deer Isle sold Paul Urann, “…a tract of land” running …northside of Long Cove and bounded by a small brook adjoining said Uran’s land, running west northwest 26 rods, being one-half of the 52 rods formerly owned by York….” This property sold for $130.00. In Vol 14, p. 236, we find Josiah Simpson selling 100 acres of land to John, Jr., “cordwainer”land next to his brother Paul’s land. The selling price in 1804 was $166.00. Paul Urann, son of John and Phoebe Davis Urann, was born about 1778. He married first Mary ( Molly, Polly) Welch on October 23, 1798. They had one child, Samuel, who was born in 1799. The 1860 Federal Census lists Samuel’s age as 58. While Paul originally owned land on Waukeag Neck (Sorrento), he later moved to lot #61 in Sullivan Harbor. 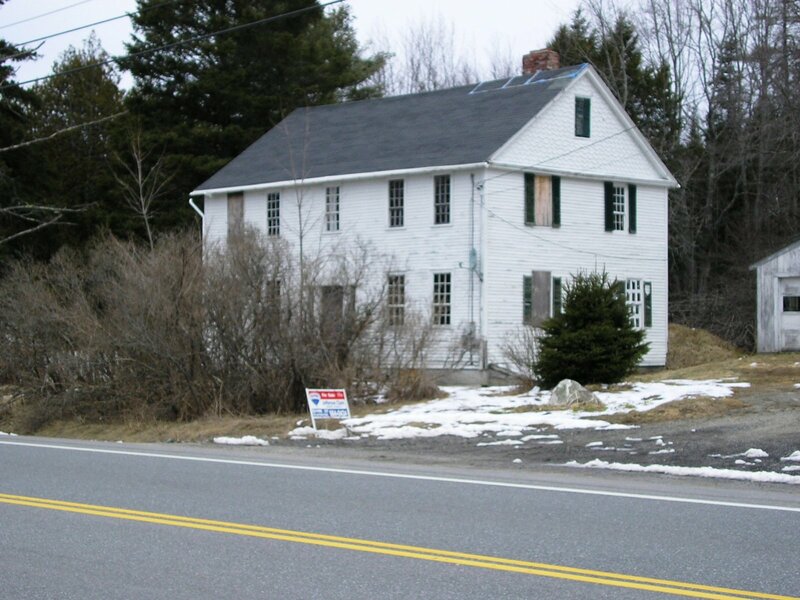 This property was sold to him by the Town of Sullivan Selectmen on March 8, 1804. Paul was in the lumber business. He died on September 11, 1855, at age 77 years and 6 months He is buried in York Hill Cemetery, in Sullivan Harbor, with Mary (Polly), his wife. Samuel Urann, born December 11, 1799, married first Abigail Wooster on December 30, 1822. She was the daughter of William and Hannah (Bragdon) of Franklin . In deeds Samuel is referred to as” Capt. Samuel Uran.” He was master of the schooner Seven Sisters, in 1832, the Orion in 1852, and the E.W. Connor in 1857. The E.W. Connor was built in Sullivan Harbor. He and Abigail had seven children who lived, Benjamin Franklin, Maria Jane, Mary Louisa, Joseph H., Samuel Leonard, and Charles Edgar. Alanson, their son, died in April 21, 1832. Abigail died on December 7, 1859, and is buried at York Hill Cemetery. Samuel then married Mahala (Johnson) Preble, the widow of Ebenezer Preble, on September 7, 1860. In the Federal Census of 1870, Samuel Urann, now 70 years old, is listed as a farmer. Mahala, 52 years, is “keeping house”. In the house, is also a George Lapham, a millwright( this may be George Lynam who married Samuel’s daughter Georgianna in 1872). In 1880, the Census reports that Mahala, now 42, and listed as a “farmer”, and her daughter, Clara are living in the house. Capt. Samuel Urann died on May 7, 1880. He, too, is buried in York Hill Cemetery. Benjamin Franklin, born September 22, 1823, who married Temperance Stratton of Hancock, was a carpenter, and had two children, Hattie E. and Frank W. The 1870 U.S. Census lists a Frank Urann, a ship’s carpenter,45, living with his wife, Temperance, 39, in Sullivan Harbor, with their children, Nellie, 17, and Franklin, 13. The Sullivan Weekly Bulletin of September 24, 1881, reported that, “…Mr. 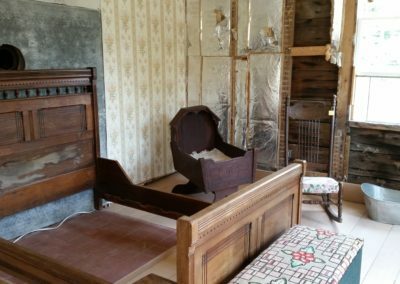 Frank Urann and family have moved away from Sullivan and will reside in Salem.” Franklin, who apparently preferred his middle name, died on June 10, 1904, at 80 years, in Salem, Massachusetts, as a widower. The Federal Census of 1900 for Salem, MA lists Franklin, Temperance, their son, Franklin, 37, single, and Nellie, 20, single, as living together. Benjamin Franklin was buried in Greenlawn Cemetery in Salem. Nellie I., born in Sullivan, who married Fred E. Bigelow of Ashland, MA, on November 14, 1904, in Salem. (Nellie was the biological child of Temperance’s sister, Ellen Stratton, who died shortly after her birth). Both bookkeepers, Fred died in 1929. 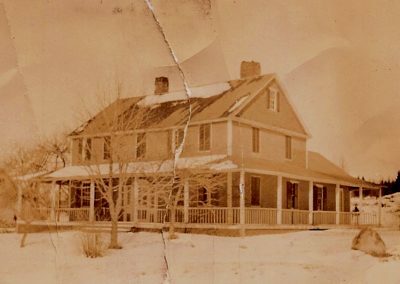 Nellie is found in 1943 housekeeping in Danvers. There were no children. Frank W., who married Alice N. Sharp Chester, in Lynn, MA, on June 6, 1906. Frank, a teamster, is last found in Salem, living alone in his own home in 1912. His wife is found in the 1920 U.S. Census in Pasadena where she is a waitress. Harriet Elizabeth, who married W. Joseph (or Joseph W.) Felt , age 32, of Salem on July 12, 1896, in Boston. Harriet and Warren Joseph Felt continued to live in Salem, next door to Temperance and Franklin. She died in 1922, and he was listed in the Federal Census of 1940 as still living in Salem at the age of 77. They had no children. 2. Maria Jane (Jane), born August 23, 1826, married John Upton Hill July 7, 1853. They lived next door to her father. He is listed in census information as a farmer, and later as a duty collector. They had one daughter, Lizzie, born June 27, 1855. She later married Charles Allen, an “engineer”. Lizzie Allen died January 9, 1895, and is buried at York Hill. Her husband Charles, who married Belle Wilson after her death, is also buried there. Lizzie and Charles had one daughter, Ruth, born November 27, 1892. She married Elwood Wilbur of Sorrento, her fifth cousin, son of Linley Wilbur and Grace Maud Urann, daughter of Morton and Chestina Urann on September 7, 1920. Elwood, an engineer for Standard Oil, was known to be living with Ruth in Seattle, Washington in 1921. Ruth and Elwood had a child, Carl A. Wilbur, born in 1923 in Turkey, and a daughter, Dorothy, born in 1902. Dorothy married Alexander Steel, a merchant. They lived in Glen Spey, Steep Falls, New York, until their deaths. Dorothy died in 1978. The Steels had one daughter, Laura, who died in childhood. In 1880, George, a son of Jane’s brother Joseph was living in the Hill household also. Jane Urann Hill died on December 21,1887, in Sullivan. She is buried in the Urann lot in York Hill. Elwood Wilbur died in 1978 in a community in Sullivan County, New York in 1978. Carl Allen Wilbur the son of Elwood and Ruth Allen Wilbur, married Charlotte Rice, of New York, in 1947. They had three children – David Elwood, who married Sue Beaver and resides in West Virginia, Stephen Linley who married Patricia Anderson in 1979. They had a daughter, Adrienne-Marie, who married Jeffrey Wilson of So. Portland in 2003, and a son, Allen T. who lived in Steep Falls, New York. Stephen and Patricia divorced in 2005. Stephen moved back to the Sullivan-Gouldsboro area and died in a car fire in Gouldsboro, also in 2005. Carl and Charlotte’s third son is Thomas Allen who married Cynthia Langley, also in 1979. Thomas later married Dianne Pearce of New York. They reside in Cape Elizabeth, Maine. Thomas and Cynthia’s children are Eliza Langley Wilbur, Diane Marie, and Stephen Langley. Carl Wilbur died on September 20, 1982, at age 60. Charlotte presently (2013) lives in Scarborough. 3) Mary Louise, born May 2, 1829, married Winslow White, a carpenter, of Salem, Massachusetts. They had three children, Nicholson F. was born in 1856. He was living at home, at age 14 in the US Census of 1870, Carrie Phosa, born August 21, 1859 and Prentis. Prentis died in 1871 in Salem. Carrie was 20 years old in 1880, and was working as a clerk in a store. Mary Louisa died on the 30 of November in 1888. Winslow died shortly after on November 29, 1888. Ray W., 1886-1973, who was married to Dorothy. Their daughter, Janet W. was born in 1921. They lived in Marblehead, MA in 1920 , 1930, and in 1940 when Janet was 19 years old. Ralph, born in 1889 who married Mildred. Their children were Denton W., born in 1920 in Swampscott, MA., and June M., born in 1926. Denton lived to be 93 yrs. old when he died in 2012. He was a veteran of World War II. 4) Joseph H. Urann was born on July 18, 1833. He married Mary Carr Bean, daughter of Theodore and Cynthia Cole (Brown). He lived on the other side of his father, Samuel. He was a master mariner and captained the Everglade, a Sullivan Harbor schooner, in 1865. He had two sons, Henry E., born about 1856, and George E., born around 1866. On Mar 30, 1870, Mary died and was buried in York Hill. Henry E. married Elizabeth Batchelder on May 31, 1881, and they lived in Reading, Massachusetts. It appears he had one child, Helen Beatrice Urann, who lived from 1882 to 1903. In 1910, Henry lived in Boston with his wife, Helen W. In 1910, he continued to live in Boston as a widower. George E. moved to Quincy, Massachusetts, and in 1910 is found with his wife, Ida M. and two children, Earnest Walter and Ethel M. Urann. Earnest, who was born in 1901, died in Quincy in September, 1979. It is difficult to find any information on Ethel, but Social Security records list her death as February 1982. Apparently she never married. Joseph H. died in Pearsalle, Long Island, New York, of heart trouble on February 19, 1891. 5) Samuel Leonard, born on August 7, 1836, died at age 21 at sea on February 5, 1858. 6) Georgianna, born on April 28 in 1839 married George Chilcott Lynam in Salem, Massachusetts on December 17, 1872. He was the son of William and Hannah (Tracey), and was born in Eden. 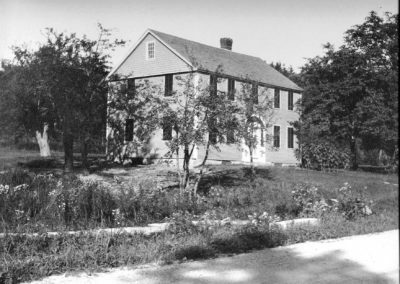 They lived in Sullivan Harbor, close to the Paul Urann house. Georgianna (Georgia) died August 23, 1925. She is buried in the Urann lots in York Hill Cemetery. 7) Charles Edgar, born May 21, 1843, was a member of Company C, 11th Maine. He was killed at Deep Bottom, Virginia on August 14, 1864. His name, service and death dates are on the Urann memorial in York Hill. Earnest E. Urann, son of George E. Urann and Ida M.
Ethel M. Urann, daughter of George E. Urann and Ida M.